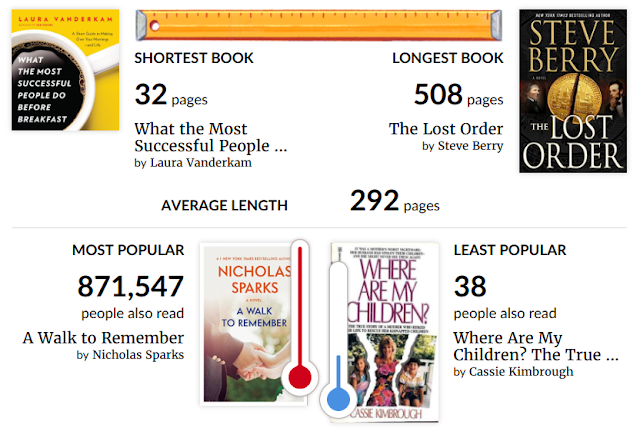 I didn’t meet my reading goal in 2018, but I got pretty close. In 2017 I set a goal to read an average of a book a week, and I surpassed that and was very proud of myself; plus it gave me great bragging rights. 2018 did not start out as a reading year. I did not read as much during the spring semester or summer as I would have hoped, but I made up for during the fall. This is especially interesting because I started a new teaching position in the fall. My books ranged from romance to engaging nonfiction. I think the reason I did not read as much as I did in the past during the first half of 2018 is that I was under a lot of work stress, had established classroom reading routines with my students, and did not set a reading goal as a resolution for 2018. It was not until I got to Halloween that I realized how close I was to have read a book a week, so I pushed ahead and make it more of a priority for what I had left of the year. In addition, I saw a few breaks coming up and having to establish reading routines in my second-trimester classes would help me continue at the pace I had established. My average for 2018 was about three-quarters of a book a week. Now, I am aware that I could consider the book length and readability, but I focus on numbers. I know that I can get closer to that goal in 2019. 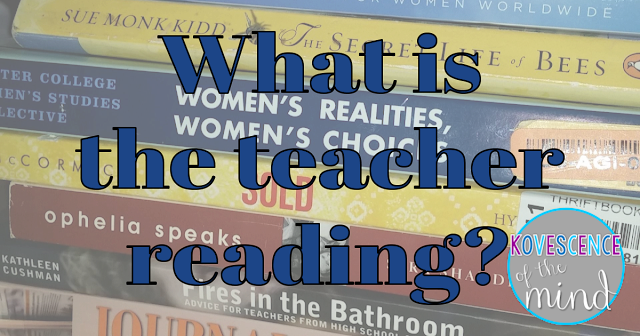 As far as my new coworker, I was shocked when my students informed me how much she reads. She has a very impressive classroom library although mine is quickly catching up thanks to a friend who moved from middle school to elementary. I will probably not read as many books as this new coworker considering she does not work a second job or children, but it gives me something to aim for. I really enjoyed both the shortest (What the Most Successful People Do Before Breakfast) and longest (The Lost Order) books that I read last year. Quick reads are always my go-to for breaks and long-weekends. I have been listening to The Best of Both Worlds podcast by Laura since its inception, so it was exciting to finally pick up one of her books. The time research that Laura does is so detailed, and she gives some great strategies for being more productive and successful. Now, I am not a morning person, and I am not sure that ever will be, but it was a great read, regardless. The Cotton Malone series by Steve Berry has been a favorite of mine for several years. I am completely caught up on all the books currently published in the series, but I was excited to be approved to receive a preview copy of the next one. These are very reminiscent of the Dan Brown books. If anyone knows of a similar series, I am ready to engage in a new historical adventure. On occasion, I will choose books by their popularity, but that does not happen that often. The most popular book that I read in 2018 was A Walk to Remember. I watch this movie every time that it is on television, but the book is infinitely better (Is that not always the case? ), and I was glad I finally picked it up. It is classic Nicholas Sparks taking you on an emotional journey. The least popular book I read was Where are my Children? This one ended up on my list after reading Not Without My Daughter back in 2003 when I was student teaching. Then I got a job in a town mentioned in that book, and I then had a wonderful friend get me a signed copy of the book by the daughter. As a result, I wanted to learn more about international, parental kidnapping and stumbled upon Cassie‘s book. Last, but not least, is the highest rated book I read: More Teacher Misery. This is just a fun read if you are at each. The author has collected outrageous stories from educators around the globe into this collection. This is her second collection of such stories, and after the year that 2017-2018, I always appreciate a good laugh. Finding Me by Michelle Night- This is a memoir by one of the women held captive in Cleveland for a decade. I Have the Right by Chessy Prout- Another memoir that chronicles a high school student’s fight against sexual assault and a system that allowed it. Heart of a Prince by Carol Moncado- This whole series about a royal family is so much fun. The Hate U Give by Angie Thomas- If you have not heard of this, you need to check it out. I cannot keep the copies on my classroom shelves. Loving Natalee by Beth Holloway- I remember watching this unfold on TV as it happened, but I had no idea what a mess was made of the investigation. Southern Discomfort by Tena Clark- Another memoir. Tena spoke this summer at my sorority national convention, and her story is inspirational. Allegedly by Tiffany D. Jackson- A young adult fiction novel about an accused murderer that I could not put down. Currently, I am reading Rise of Rocket Girls and it is taking me a little longer to get through than a normal book. I am not sure if that is because I am tired this time of year (winter blues and all) or if it is because all the science and math technical information takes a lot of energy. I know that I have fallen down quite a few Wikipedia rabbit holes while looking up background information. See my entire 2018 reading list on Goodreads.